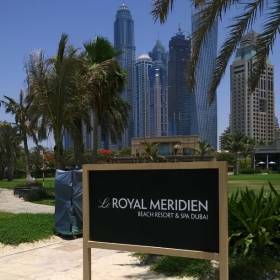 Le Royal Meridien Beach Resort & Spa is the perfect choice for beach and city holidays in Dubai, offering 504 rooms + suites for your every need. The hotel is situated right across from the cosmopolitan JBR Walk – Dubai’s only beachfront promenade of luxury shops, restaurants and cafes overlooking the clear blue water of the Arabian Gulf.The hotel offers spectacular facilities including three pools, direct beach access as well as many recreational activities including water sports, fitness activities and children’s events at Penguin Club. Furthermore, Le Royal Meridien Hotel in Dubai features an array of international award-winning restaurants and bars for you to choose from.